Today I have my first Winter polish to show you guys! Or at least I think its my first! 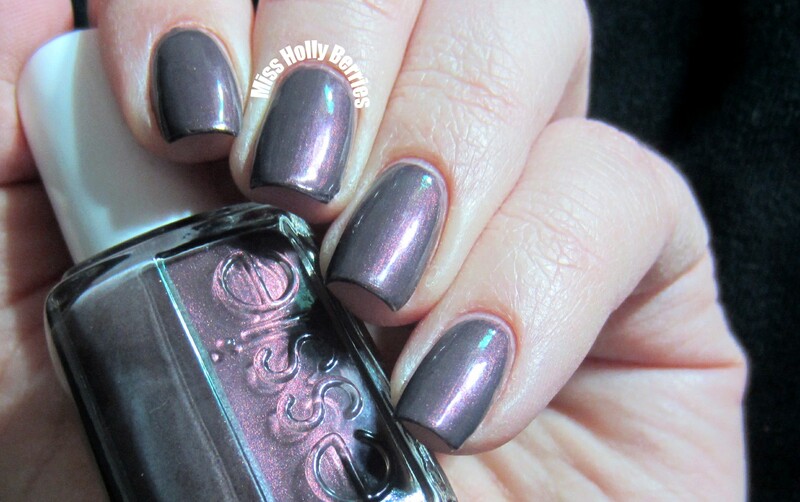 I wanted this polish ever since I saw the Essie Winter collection explode online. Some bloggers were claiming that this was the best of the entire collection, so naturally I had to have it. I picked it up a few weeks ago and finally tried it out. The formula on this polish was fantastic! I’m so hesitant to try Essies sometimes because I’ve experienced way too many thick, streaky, sheer formulas from them. This was like butter going on your nails! It was completely opaque in just 2 coats, had a great consistency and dried really quickly. I wish that I was as impressed with the color on my nails as I was with the formula! What do you guys think? 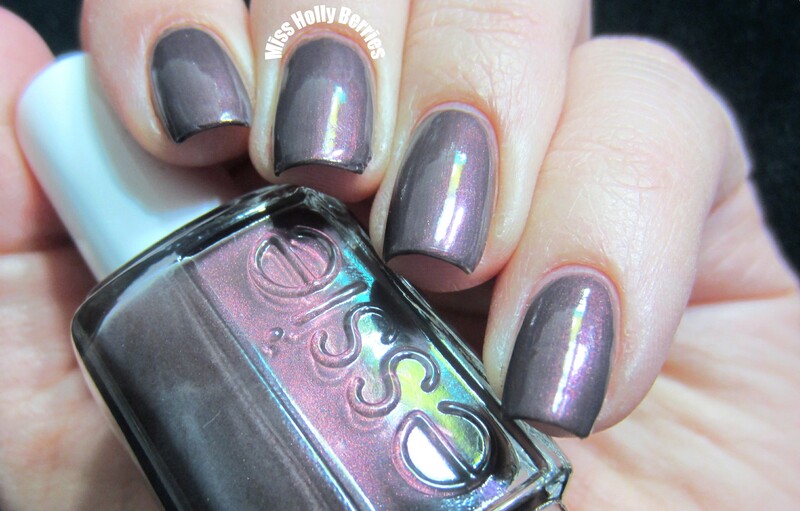 Did you pick up any from the Essie Winter collection? ← L’Oreal Color Caresse Wet Shine Stain in Infinite Fuchsia! 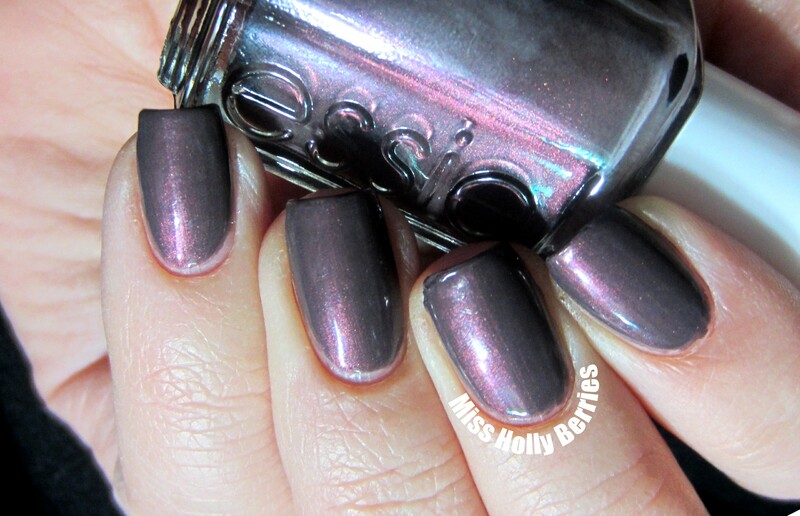 I did not get this one b/c to me it looked like OPI Peace, Love and OPI. I think that was the order of the words:/ Is it like the OPI color? If not I should get it:) Like I need another polish! Happy you talked about this color:) I do buy three or more Essie out of each set they come out with, so it’s always nice to know what colors are not to bad out of each set! it isn’t really because it isn’t a duochrome. it just has a little shimmer and its a taupe, like opi you don’t know jacques. the opi is a charcoal grey with purple. this is a great color, i just which i loved it on my skin tone more! it is great tho if you’re looking for a good taupe. it seems the whole purple/mauve/green duochrome thing is in the trend lately. i picked up one polish from the collection and has an orgasmic explosion when i was taking picture for my blog post. your swatches of dream are AMAZING! It’s interesting, but nothing that rocks your world. Cool idea for a pink shimmer in a dark base. I bought this today because I couldn’t resist all the hype! Not yet! I need to!